In a similar theme to Thursday night’s game against the Washington Wizards, the Miami Heat will be without four rotational players for tonight’s matchup against the Charlotte Hornets. 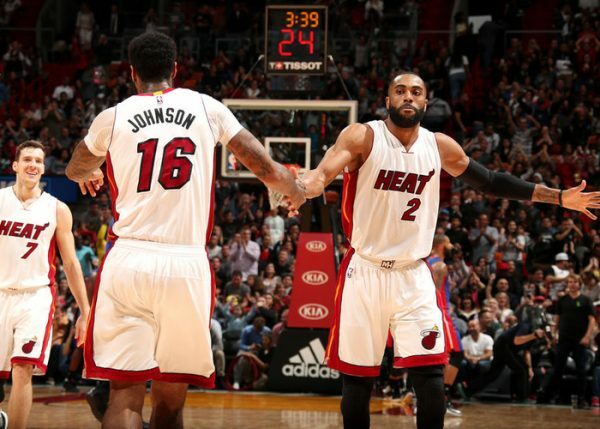 James Johnson (hernia), Dion Waiters (ankle) and Justise Winslow (hamstring) out for Heat tonight vs. Hornets. Wayne Ellington (ankle) doubtful. With three days off before Knicks on Wednesday, figure Winslow and Ellington back for that one. James Johnson continues to work his way back from surgery he had in May, while Dion Waiters is also rehabilitating from ankle surgery he had in January. In a bit of a silver lining, both Wayne Ellington and Justise Winslow are likely to come back for the Heat’s Saturday night contest against the Portland Trail Blazers. Tonight’s matchup against the Hornets will be the Heat’s first game of the season at American Airlines Arena. Tipoff for tonight’s game is set for 8 pm ET. Brad has been a Heat fan since the J. Will days in 2005. Passionate about the game of basketball since the days of Space Jam and Kazaam, Brad has been blogging about the NBA since 2006 and is a walking basketball encyclopedia. He is proud to be one of the lead staff writers on Heat Nation. Follow him on Twitter @mrbradahn.